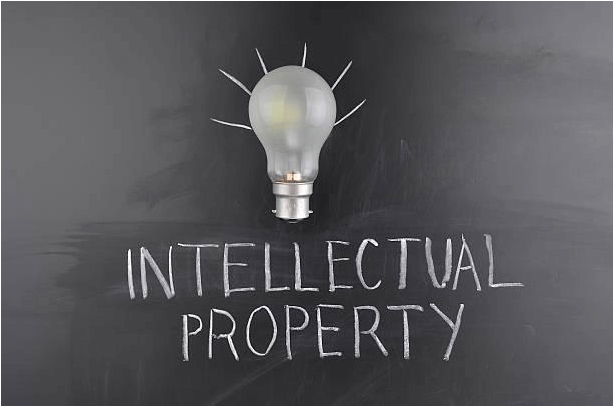 Intellectual Property - How To Protect IP On Cloud? How To Protect Intellectual Property On Cloud? How to Protect Intellectual Property in Cloud Storage? It is imperative for many firms to know how to protect Intellectual Property on cloud. In terms of such data, handing it over to any 3rd-party, specifically the most critical data and sensitive information, is for sure a very risky proposition. Cloud data storage usually creates many unique concerns for managements as per such intellectual property, which has been stored over cloud. Limitations in terms of budget along with exponential volume of data have been encouraging most firms to look for rather more cost-effective options for cloud data storage. Cloud data storage has certain benefits over conventional ways of storing data in-house, like agility, fast processing and apparently safer replicas storage for fast data retrieval whenever needed. Capability of uploading/extracting uploaded data from various locations as well as the ability of easily merging many information sources certainly makes cloud data storage a well logical data storage facility used for backing up and arching data. This relatively more cost-effective cloud storage facility seems to be a greater incentive than buying more expensive in-house data storage devices. But, at the end of the day, cloud storage doesn’t always make a suitable solution for confidential data storage, specifically for proprietary Research & Development data or the Intellectual Property per se. At times, such crucial data remains available to be viewed by others, thus jeopardizing any company’s trade secrets as well as intellectual property. Public Disclosure of Critical Data: Unintentional public disclosure of sensitive information and confidential data, which is being stored over commercial cloud-based storage facilities, becomes even more prevalent. Such types of disclosures might lead to loss of current or may be future IP data rights. Data Privacy: Users who have been using any of the cloud services mustn’t assume that their uploaded proprietary data and R&D information including confidential info and sensitive data has been thus stored in a very secure environment meeting their proclaimed privacy policies. If any cloud service user has specified that data could be utilized for one particular purpose, then that assurance must be upheld by his cloud service provider. Secondary Use of Crucial Data: Most cloud service vendors usually have complete access to clients’ data, which can even lead to that data being mined by those cloud providers only or by other outsiders. Some cloud providers even claim of usage rights on such uploaded data, including pictures, presentations etc., and this can result in public disclosures of that data. Jurisdiction: In cases of confidentiality breach, users must ensure that any of the services thus deployed to cloud are being used as per laws & regulations pertaining to their locations. So, for this primary location of data and its backup locations must be in the knowledge of the users. Contracts: Users of cloud services must check their contracts with their cloud service providers before agreeing up to their terms. Cloud Security Measures: Users of cloud services must ensure that their cloud service providers are having enough cloud security measures, including primary data locations and data backup locations. Cloud provides controls as well as procedures must be complying with local regional laws where cloud servers are located. Also must check compliance with some international standards like SOC2 etc., determining security, process integrity, availability, data privacy, and confidentially of data servers. Data Backups: Users of cloud services must not be relying only on the cloud service providers’ backups and must also ensure regular backups of data on their own also. Such types of data backups are highly crucial in case the cloud providers go out of business, or in case data centers become kind of inoperable. Securing Data: Users of cloud services must not be replying completely on their cloud service provider for cloud security and must also consider other options to add that extra layer of data security by using the very efficient CASB solutions for securing their critical data residing over cloud networks.